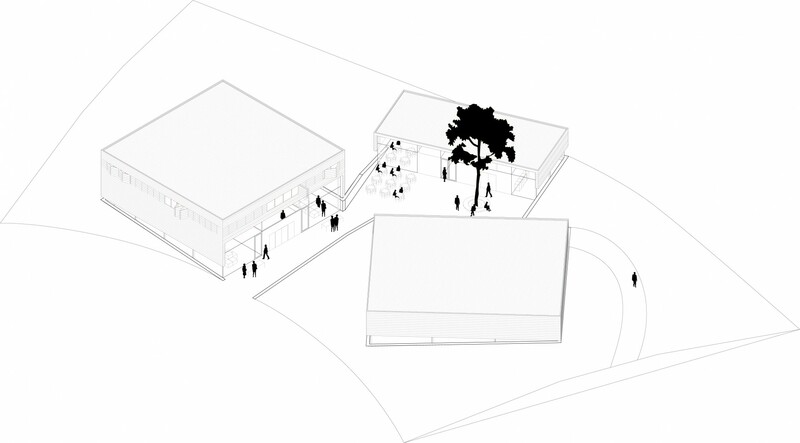 Restricted competition for the architectural design of four different building typologies within the masterplan of .Fabric and Lola landscape architects for a rural eco-retail & recreation development. Landgoed De Groene Kamer seeks to develop a new type of country estate in the southwest of the city of Tilburg where eco-retail, nature and recreation are brought together. A place where city and countryside meet, both physically and programmatically. 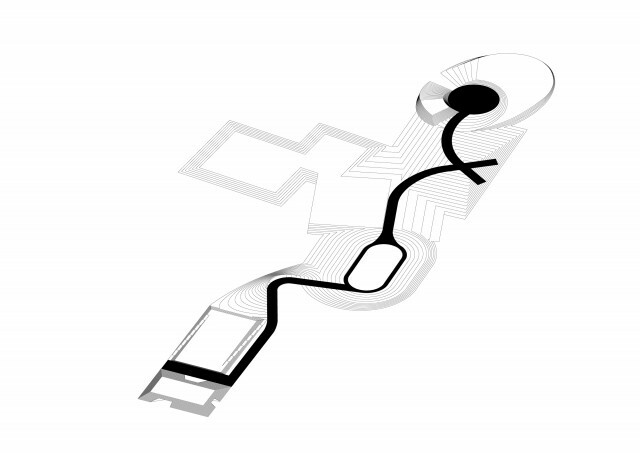 Shift’s proposal, Topos, focuses on a radical integration of architecture and landscape. Topos transforms the flat body of earth in the existing master plan of .Fabric and LOLA into a differentiated earthwork. The boulevard, the squares and the buildings are placed in and on this earthwork. 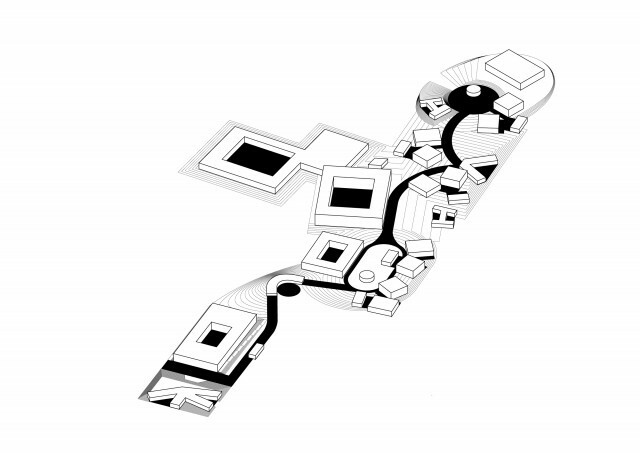 The body of earth is used as an instrument for place making and therefore becomes topographic. Each retail cluster is embedded in a specific three dimensional earth shape to create a sequence of differentiated places (topos). Shopping on the green boulevard becomes a natural experience in which the division between city and countryside, between architecture and landscape, is dissolved. The entrance square is formed by a bowl-shaped earthwork which opens towards the parking arboretum. 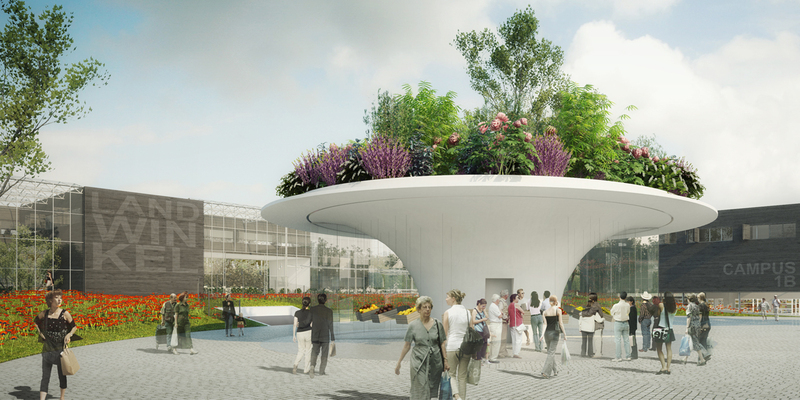 The circular shape embraces the visitors and welcomes them into a different world that invites for exploration. The various buildings situated in, on or under the earthwork bowl can be accessed from the square. Each building typology has its own specific connection with the earthwork and the surrounding landscape. The block houses a so-called landwinkel, a large shop where local food products are being sold. It functions as one of the anchor programs of the whole Groene Kamer development and is therefore prominently placed on top of the earthwork. The omnidirectional block manifests itself as a transparent greenhouse with a “wooden sculpture” inside. 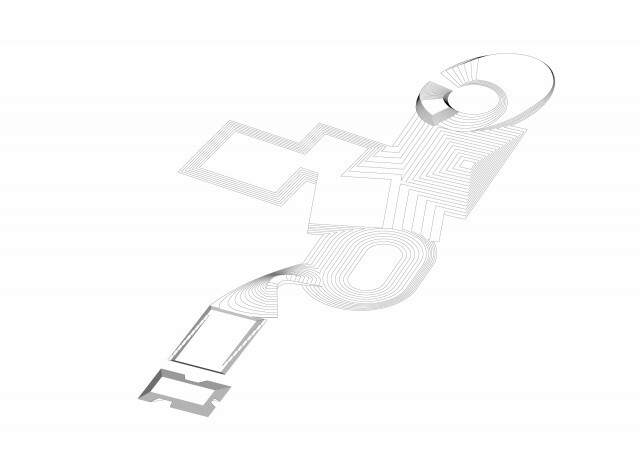 This sculpture is designed as a cross shaped volume which allows for open corners in the building. The corners function as indoor gardens that literally bring the outside inside and vice versa. 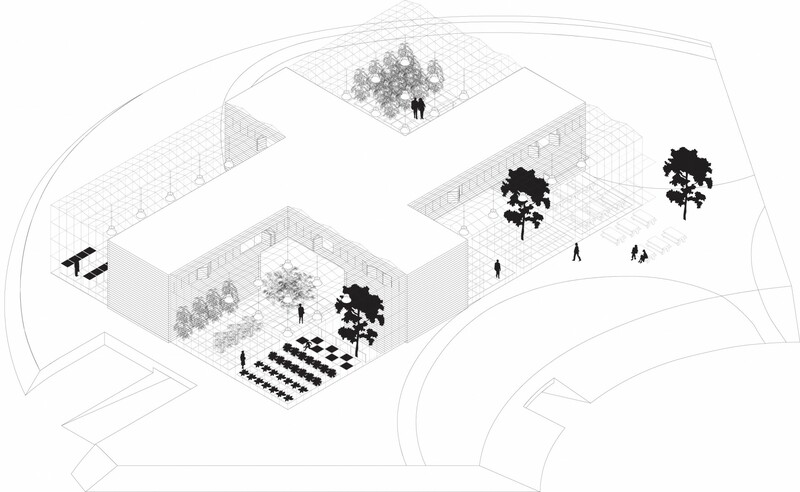 The cross volume is carved open on the ground floor, introducing a continuous and flexible floor plan that connects the corner gardens. The campus is designed as a distinct and recognizable cluster of three retail buildings, literally embedded in the landscape. The entrances of the buildings are oriented towards the inside of the campus, to create a shared court that seduces the visitors inside. 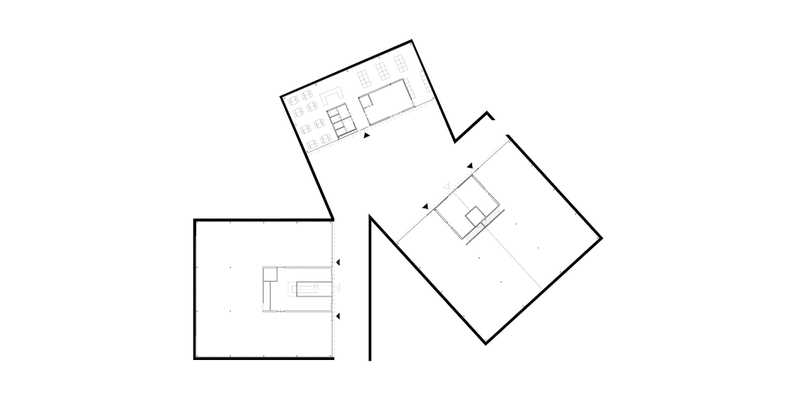 All buildings have a maximum transparency towards the shared interior. The other, more closed, facades are provided with a continuous horizontal strip window that follows the topography of the earthwork. This strip window introduces a new “constructed” horizon which dramatizes the three dimensional character of the earthworks both from the inside and from the outside. 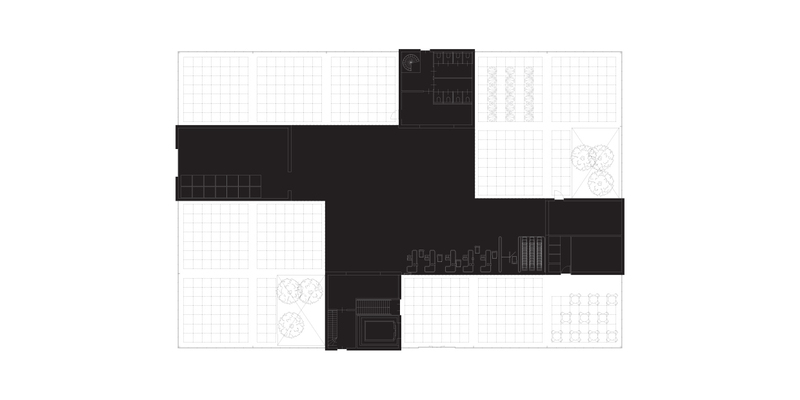 The restaurant manifests itself as a triangular carve through the body of earth. 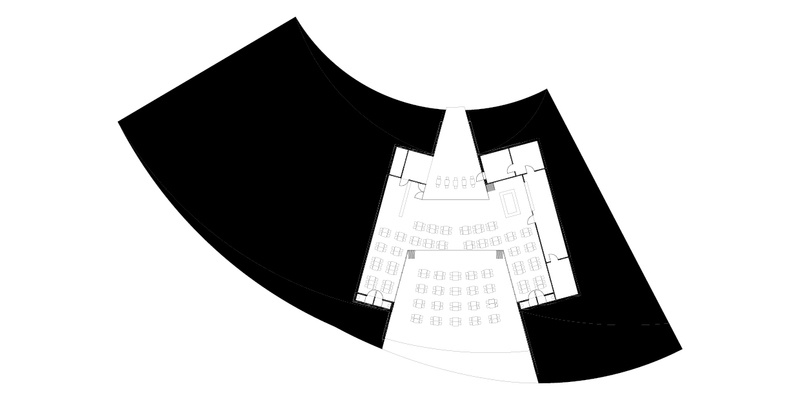 The carve accommodates an open entrance towards the square, a covered middle part with the seating area and a large terrace towards the south. The other functions of the restaurant are situated in the body of earth adjacent to the carve. Foldable window panels allow the complete south façade to open up, erasing the border between inside and outside. The solitaire is designed as a “programmed vase” that provides a distinct landmark for the square. The vase consists of a closed core that evolves into a circular dish with a large mix of vegetation on top. The closed core house secondary functions, while the space under the dish functions as a ring shaped pavilion enclosed by glass panels. The system of sliding panels allows for different open-closed-configurations of the pavilion.